Here in Australia, the most popular six-cylinders are made by Holden, Ford, Mitsubishi and Toyota. But one of the most overlooked of sixes is the range of Mazda multi-valve V6s, as seen in local vehicles such as the Mazda 626/Ford Telstar, Eunos 30X and Eunos 800M. These wonderfully sophisticated and revy engines range from just 1.8-litres capacity (tiny for a V6!) to 3-litre. So let’s take a look at these Mazda sixes in detail. The smallest member of the K-series V6 family is the K8-ZE which was introduced to the Japanese market in 1991. In these early years, the K8-ZE was installed in the base Efini MS-6 and its Ford badged Telstar equivalent, base Cronos and Eunos Presso (aka 30X). The K8-ZE goes into the history books as one of the smallest mass production V6s on earth – just 1.8-litres. With a 75mm bore and 69.6mm stroke, this is a wonderfully revy engine. With the benefit of DOHC, four-valve-per-cylinder heads and using a 9.2:1 compression ratio (which allows the use of normal unleaded), the K8 engine puts out 103kW at 7000 rpm and 157Nm at 5500 rpm. 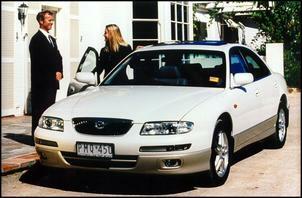 In 1992, the mid-size Eunos 500 was also released with the same 103kW/157Nm K8. Auto or manual gearboxes were offered in each of these vehicles and production continued into the mid ‘90s. 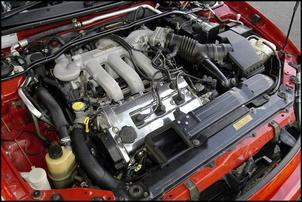 A high output version of the K8-ZE was also released in the 1993 Autozam AZ-3 (based on the Eunos 30X). With the compression ratio bumped up to 9.5:1 and the use of premium unleaded fuel recommended, the tuned K8-ZE generates an extra 4kW and 2Nm - 107kW at 7000 rpm and 159Nm at 5500 rpm. Again, manual or auto trans versions were sold. 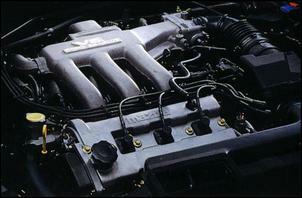 Slightly larger than the K8-ZE engine is the KF-ZE 2-litre V6 which was released in Japan during 1991. 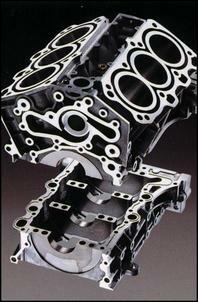 Using a 78mm bore, the KF V6 sweeps 1995cc and runs a 10:1 compression ratio in DOHC, four-valve-per-cylinder guise. Premium unleaded fuel is recommended. This is another wonderfully revy engine that easily puts out 118kW at 6500 rpm along with a gearbox friendly 180Nm at 5500 rpm. This engine was tied to automatic or manual gearboxes and was sold in the Efini MS-6/Ford Telstar models and mid-spec Cronos models. In ’92, the KF-ZE 2-litre V6 was spread into the mid-spec Mazda Autozam Clef, Efini MS-8, top-line Eunos 500 and MX-6 coupe (all available with a standard auto transmission, except the Eunos 500 and MX-6 were offered with an optinal five-speed manual). There was no change in output – it remained at 118kW/180Nm. In 1993, the Mazda Lantis appeared on the scene also with KF-ZE 2-litre power. Interestingly, the Lantis-spec engine – available with a manual or auto transmission - produces an extra 7kW at 7000 rpm. It’s likely that a factory high-flow exhaust is responsible for the additional top-end power. 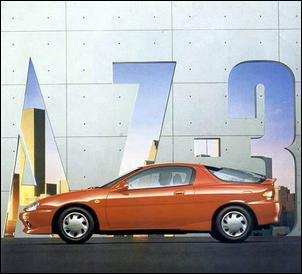 Finally, in 1998, the KF-ZE was slotted into the auto-only 1998 Millenia 20M where it made the run-of-the-mill 118kW/180Nm. Production for the Millenia extended beyond 2000. 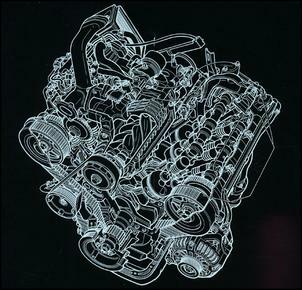 The biggest engine in the K-series family is the KL-ZE, which debuted in the Japanese Efini MS-8, Autozam Clef and Ford-badged Telstar 25Vi of early 1992. The KL-ZE uses an 84.5mm bore and 74.2mmm stroke for a total displacement of 2.5-litres and breathing is through a pair of DOHC, four-valve-per-cylinder heads. The compression ratio is relatively high at 10:1 (requiring the use of premium unleaded fuel) and we believe a variable intake manifold was installed. Peak power is 147kW at 6500 rpm (impressive for an atmo 2.5-litre) and there’s 224Nm of torque available if you rev it to 5500 rpm. A five-speed manual version of the KL-ZE was offered as an option in the AMG version ’92 MX-6. The following year, in late 1993, the hi-po Mazda Cronos Gran Turismo X and Eunos 800 25F/25G models were also released with KL-ZE power. Output remained at 147kW/224Nm and a four-speed auto came standard. In 1997, the KL-ZE was spread into a couple of new vehicles - the Capella VRX AWD wagon and its Ford Telstar wagon equivalent. It appears that the max power stayed the same but peak torque (224Nm) arrived at a more accessible 4800 rpm. The mid-spec Mazda Millenia also adopted the services of the revised KL-ZE. The KL-ZE powered AWD wagon and Millenia come auto-only and production continued into the early ‘90s. Note that the K8, KF and KL engines are all designed for transverse mounting and look very similar – make sure you’re getting the right engine if you buy one from a wrecker! The most sophisticated and grunty version of the K-series V6 can be found in the nose of the post ‘93 Eunos 800M. The KJ-ZEM is a smaller bore version of the KL engine and displaces 2254cc. It shares the same design heads as the KL, except this engine incorporates Miller-Cycle technology. The Miller-cycle engine is unique in that it closes its intake valves much later than in a conventional Otto cycle engine - the inlet valves are kept open for the first 20 percent of the compression stroke. The Miller-Cycle principle combines effectively with the fitment of a Lysholm screw-type blower, which pumps in up to 14 psi of boost via twin-air-to-air intercoolers. At 10:1, the static compression ratio is very high for a forced-induction engine (as allowed by the Miller-Cycle principle). On premium unleaded, the max power for the Japanese-spec KJ-ZEM is 162kW at 5500 rpm and there’s a healthy 294Nm of torque from 3500 rpm (considerably stronger than the naturally aspirated 2.5-litre KL-ZE). Unfortunately, these engines come with an automatic transmission only – Mazda never combined the supercharged engine with a manual ‘box. In 1997, the Eunos 800M was reborn as the Mazda Millenia; there were no major engine changes until the model was axed in the early 2000s. Be aware that the superchargers on these engines are known to cause problems after about 150,000km. 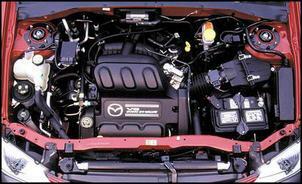 Interestingly, despite the availability of the KL-ZE, Mazda sold another 2.5-litre V6 from the early ‘90s – the J5-DE. Like the KL-ZE, the J5-DE employs DOHC, four-valve-per-cylinder heads but uses a relatively low 9:1 compression ratio which allows the use of normal unleaded fuel. Not surprisingly, power output trails the KL-ZE – there’s 118kW at 6000 rpm and 211Nm at 3500 rpm. The J5-DE was initially fitted to the auto-only Efini MS-9 and Sentia. In 1995, the Bongo Friendee (!) and Ford Freda van received the same powerplant. Obviously, it isn’t intended for high-performance use like the KL-ZE. The Mazda JE-series V6 is a relatively old design which debuted in 1986 with the Mazda Luce rear-wheel-drive saloon. 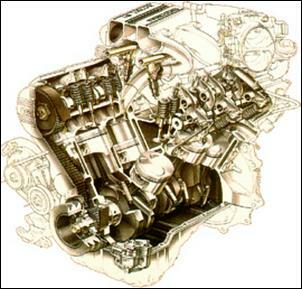 This longitudinally mounted engine employs DOHC, four-valve-per-cylinder heads and has a displacement of 3-litres. In ‘86, it appears that output was 132kW/245Nm but in 1988 the engine was updated to produce 147kW/260Nm at 6000 and 4500 rpm respectively. It comes with any transmission you want so long as it’s an automatic. In ’91, the Luce was replaced by the Sentia and Efini MS-9 (aka 929). In these later models, the JE V6 is upgraded to JE-ZE spec which elevates torque output to 272Nm at just 3500 rpm. Peak power remains at 147kW on premium unleaded. The MS-9 was discontinued in the mid ‘90s but the Sentia carried on until around 2000. During this time, output was bumped up to 151kW at 6000 rpm – perhaps due to an exhaust system improvement. 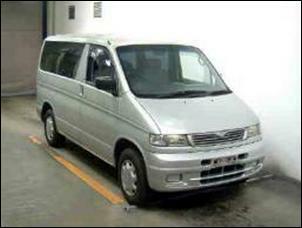 Meanwhile, a basic version of the engine was released in the 1991 Efini MPV people mover. The MPV JE 3-litre engine runs a low 8.5:1 compression ratio (which means its comfortable drinking normal unleaded) and an 18-valve OHC valvetrain. Output is 114kW at 5000 rpm and 231Nm at 4000 rpm. The driveline comprises an auto transmission and rear-wheel-drive. 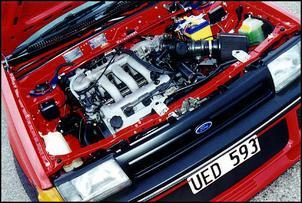 The engine was updated to a JE-E in 1995 but it appears there was no improvement in power or torque. From 1997, the Efini MPV was rebadged as the Mazda MPV. The latest V6 family from Mazda is the AJ V6, as introduced in the 2000 Tribute and, in 2002, MPV. Although not used in a high-performance application, the AJ V6 has plenty of appeal. The all-alloy six displaces 3-litres, is happy to run on normal unleaded fuel despite a relatively high 10:1 compression ratio and, of course, has DOHC multi-valve heads. Power output is 149W at 6000 rpm and there’s 265Nm at 4700 rpm. An automatic 4WD or FWD driveline comes attached in the Tribute. Fitted to the MPV, the AJ is detuned slightly to 145kW at 6300 rpm and torque peaks at 267Nm at 4750 rpm. A front-whee-drive automatic transmission comes standard. With capacities ranging from 1.8 to 3-litre – and don’t forget the supercharged Miller-Cycle engine – there are plenty of good Mazda engines which are ripe for conversions into a buggy, kit car or your locally delivered Mazda. They’re sophisticated, underrated and cheap – we suggest visiting your nearest Japanese import wrecked to find out exactly how cheap they are!